Okay, let’s talk about something that when thrown into a seemingly complex mix of camera models and their various firmware versions, will cause even more complexities around SJCAMs (and action cameras in general): Memory Cards. What with all the available options out in the market, like the brands, the capacities, the read speeds, the write speeds, with all the superlatives they use when it comes to their advertising, some can be crazy expensive. Do we really need all those cards with intergalactic-starship-hyperspace speeds that are so inviting we drool just thinking about them? Well, no, not really. What’s far more important is compatibility. I know, I know, at this day and age everything is almost always compatible with everybody else’s device. Set standards. Like USBs, and Bluetooth. O wait. No. I take that back. I forgot about Apple and their closed ecosystem of devices, peripherals, and apps. That, just brings us to understanding how things can be a pain when it comes to compatibility among systems. Memory cards are not exempt from this. We use them in a lot of our daily toys and work tools (or whatever you want to call your $600+ mobile smartphone). We all have some sort of removable storage nightmare at one point, so here we will try to be as objective as possible about getting what cards for our purpose. Specifically, for SJCAM Action Cameras. Because let’s face it, there’s no “one card to rule them all” in this story. Do you really need a big card? Yes. Specially for videos, as they take up a lot of space. You need to get one or two with a fast write-speed, like I mentioned in a previous post, or suffer mild problems that can be anywhere from dropped frames, to catastrophic failures, like irreparably missing/corrupt files. So, how big should you go? 16GB is just fine, though if you want to be on the safe side, 32GB is the most advised size. 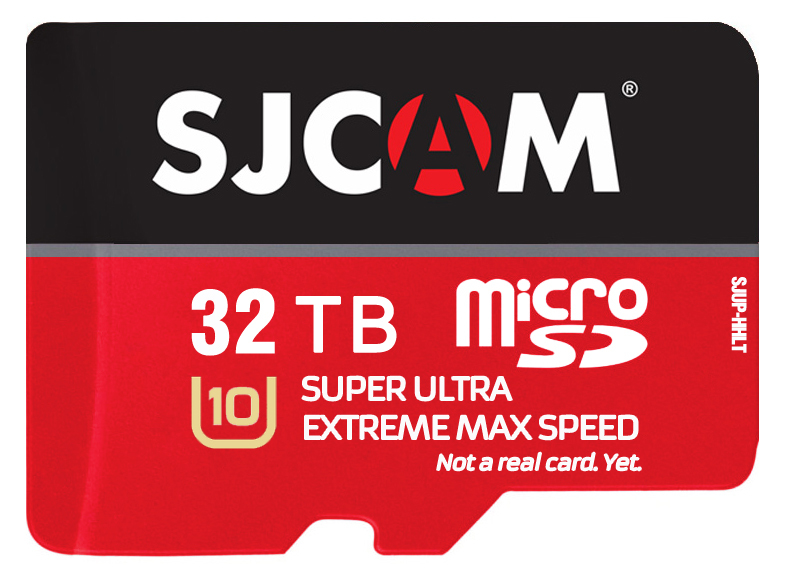 64GB cards are supported by some SJCAM models, specifically the SJ4000 series. For the SJ5000 series and M10 series, stay on 32GB, for now. Plenty of the larger cards cause erratic operation problems, which make it appear that the cameras are the problem, but are usually the cards’. The more recent SJCAM M20 is more forgiving, and with select cards, you can go up to 128GB. There is also another thing to consider too. File size limitation. Your SJCAM formats your card using the FAT32 filing system structure, which also means that files are limited to 4GB maximum in size. Your videos, should you exceed this filesize, will be stopped short and will continue recording with another file. It is not a limitation set by SJCAM, the FAT32 filing system is created by Microsoft in 1977 and is still in use everywhere today. The only reason not to like this is that on 4K-capable cameras, ultra high resolution video recording will be split after reaching this size ceiling (anywhere between 9 and 15 minutes, depending on bitrate and framerate) and create another file. This is also a good thing, should anything happen during your recording, like say, your battery ran out, then you still have other videos saved. Some users have reported that formatting your card on your computer to exFAT will work around this limitation. It did, and has worked for some time, on a few SJCAM models. Until the newer, more feature-rich firmware, were rolled out. For now, it is strongly advised to stick with FAT32. But if exFAT works on your particular model and firmware, then by all means, use it. Don’t even bother if your files don’t reach that big though. Word of advice: After transferring your files someplace else, always format memory cards to keep the filing system’s integrity good. Until next time… keep shooting, and shoot happy! [The featured image of an SJCAM 32-Terabyte UHS-10 MicroSD card shown above is NOT REAL.